The past two decades have seen a remarkable improvement in people’s lives as hundreds of millions have climbed out of poverty. Around the world, endemic diseases are disappearing, and life expectancy is rising. Still, over 750 million people live in absolute poverty worldwide. Of these, some 300 million live in Muslim majority countries that are member nations of the Islamic Development Bank (IsDB). The reason incomes are not rising in many of these countries is because they lack the basic building blocks needed for people to live healthy lives and build livelihoods. There is an urgent need for robust health systems to fight communicable diseases, support for smallholder farmers that will boost production of essential crops and livestock, and access to basic infrastructure that provides power, water and sanitation. These staples are out of reach partly because traditional forms of financing are not accessible. Domestic tax revenues in many countries simply are not rising fast enough to replenish dwindling government coffers to fund infrastructure development. Many countries must borrow funds to build their basic infrastructure, but those most in need of such financing face major barriers to finance; the cost of financing itself is crippling, while the amounts needed can outstrip the ability of many countries to repay their debts. The Lives and Livelihoods Fund (LLF) aims to fill this big funding gap. It uses an innovative financing model to combine $500 million in grants from Saudi Arabia, Qatar and the UAE together with traditional market-based capital supplied by the IsDB. In doing so, the fund can offer low-income countries in the Muslim world discounted finance for essential development projects that would normally be out of reach. Recipient countries pay back the IsDB financing while donors indirectly cover more or less the financing mark-up rate, dramatically reducing the costs of borrowing and making each dollar go much further. The LLF today is the largest development initiative of its kind based in the Middle East, and until 2020, the fund aims to make $2.5 billion available for projects to help the poorest people in the Muslim world to lead better, healthier and more productive lives. The LLF was formed in 2015 through a collaboration between some of the biggest development organizations in the Gulf, who sought to offer a regional solution to development challenges in Muslim majority countries. The fund combines IsDB ordinary financing with grants blended from the King Salman Humanitarian Aid and Relief Centre (KSRelief) in Saudi Arabia, the Qatar Fund for Development (QFFD), the Abu Dhabi Fund for Development (ADFD), the Bill & Melinda Gates Foundation, and the Islamic Solidarity Fund for Development (ISFD). The Fund was launched officially on 29th September 2016. In March we successfully launched our first project, a malaria prevention and control project in partnership with the Government of Senegal and the Global Fund for AIDS, Tuberculosis and Malaria. And we have prioritized more projects in the fields of health, agriculture, and basic infrastructure that will have the biggest impact across the Muslim world. Our ambition is to help lift millions of people out of poverty and save millions of lives. In the process, we hope to encourage other governments in our region to pursue much needed development efforts that may otherwise not happen, creating a virtuous cycle of development. This concessional funding targets sub-sectors and project areas that previously had no access to such financing before the LLF. Our primary targets are the IsDB’s Least Developed Member Countries (LDMC’s), where the majority of the poor live. They are countries in urgent need of financial assistance, but are constrained in their access to borrowing due to limited production capacities and/or restricted financial market conditions. Already since the launch of the LLF in September 2016, over $600 million has been committed to projects in different parts of the Muslim world. Projects approved so far for the first batch of funding were primarily in West Africa, aiming to protect communities from the risk of malaria and eradication of diseases such as HIV/AIDS and mother-to-child protection. Other projects aim to improve access to water and primary healthcare, and still others will empower poor farmers and pastoralists to grow more food through the development of the necessary basic infrastructure and integrated pastoralism. There is something equally notable in this work as well. The support is borne of the Muslim world solving its problems in its own way. Our work is built through a framework of effective development cooperation anchored on the principles of Islamic finance and economics, and it is yet another testimony of striving for human tolerance between cultures and across regions of the world. Such development cooperation, transcending faiths and sects in the east and in the west, is a unique universal model that global leaders can look up to for inspiration. We all aim to eradicate extreme poverty and extend a helping hand to vulnerable people in all societies in the Muslim world; because saving a life amounts to saving the entirety of mankind. We believe that we have found a solution for the region that is of the region. And we want others to join us to build on our idea and scale it. Only together, can we tackle our problems and drive sustainable development across the Muslim world. 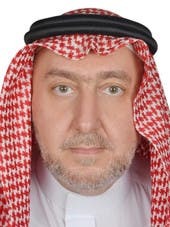 Dr. Waleed Ahmad Jameel Addas is Head of the Lives and Livelihoods Fund at the Islamic Development Bank (IDB) Group, Jeddah, Kingdom of Saudi Arabia.